All the talk is about Corbyn being a problem for the Jews. But the far bigger problem is for the British people themselves. This is not just because Corbyn is a Marxist who would tax and nationalise the UK into total ruin. It is that history has shown how so many countries were vastly enriched by their Jews but lost out badly when they left. Look at the United States - from the De Milles of Hollywood to the Lehmanns of Wall Street. Contrast that to the demise of a once mighty Spain which expelled all its Jews and is now just a backwater for bullfights, tourists and sherry casks. Look at the once flourishing Arab countries like Iraq, Yemen and Libya which expelled their 800,000 Jews and with them any chance of surviving beyond the life of their oil wells. 500 years after being 'readmitted' into England by Oliver Cromwell, Jews still count for a tiny one third of one percent of the UK population. But punching a thousand times beyond their weight in numbers, they have vastly enriched the host country in all fields of endeavour. To the nation of shopkeepers, Jews brought GUS, GEC, M&S, Selfridges Tesco, Ladbrokes, Dixons, River Island - all the way down to Anne Summers. Where would British television be today without Lew and Michael Grade and Alan Yentob? News without Paul Reuter? Publishing without Andre Deutsch and George Weidenfeld? Advertising without the Saatchis and Sorrell? 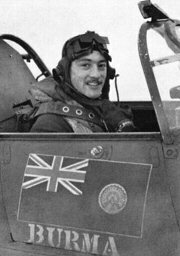 In WW2 Jewish wing commander Bob Tuck DFC claimed 29 kills for the RAF fighting the same filth that Corbyn now calls friends. Jewish talent overflowed in the British judiciary, medicine and science while our businessmen 'gave back' to Britain by vast endowment of arts and academia beyond any ethnic comparison. Sadly, along with most 'progressive' countries, Britain's birthrate has now fallen below the replacement threshold. This means that, like Germany, its future population growth, taxation and social security will depend on migrants. How many of those migrants will be able to replace what will be abandoned by Jews in their flight from the likes of Corbyn? The Corbyn affair is a gathering storm for Britain. Sky high taxes, state control, flight of capital and no Jews. The solution for the Jews is easy and already so familiar. But what of our countrymen - all those good people who welcomed my parents and other refugees from Nazi Europe?